We have enough snow and cold weather from last December, it was an ideal condition for XC ski in Sapporo. 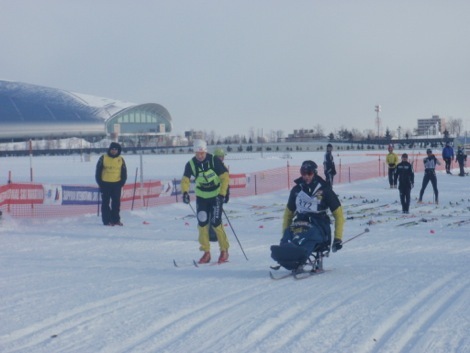 I believed Sapporo Ski Marathon will be held under the excellent snow condition in 2013, but it was unfortunately change to Spring weather on Friday, two days before the race. Maximum temperature was plus 5 degree and that night it rained. Next day Saturday one day before the race, snow was melting and temperature fell down again snow was changed to hard and ice, so bad!! The race day on Sunday it was cold windy and snowing day, there are so many up and down points on the course, snow condition was very dangerous black ice burn covered with thin new snow. 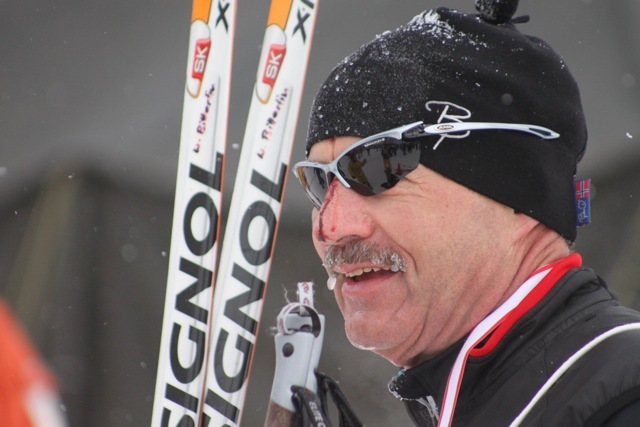 I found many skiers bleeding from their face at the finish line. Mr.Ole Herman Roennevigis a sit skier from Norway and WL master too, he started with his guide Mr. Marius Prestegaardfrom special wave 15mintes faster than first wave, after their start about 700 skiers started for 50 km main race. Temperature was minus 6 degree but by the strong wind we felt minus 10 degree or morecolder. Race was hard and difficult under the bad snow condition. 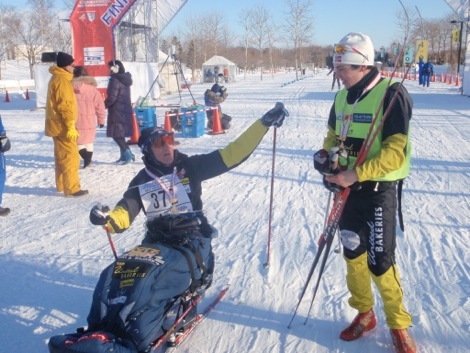 I was waiting for Mr. Ole for a long time at the finish line, he skied 50 km such a technical course and bad snow condition.His finish time is 6:40:25 with sit-ski!! This race is very hard for him, but this finish is very big one step to your Global Worldloppet Skier title. No skier can finish this race with sit-ski like you, I understand you are the winner!! Main race (50km) finisher men was 580, women was 45. Short race (25km) finisher men was 390, women was 69.